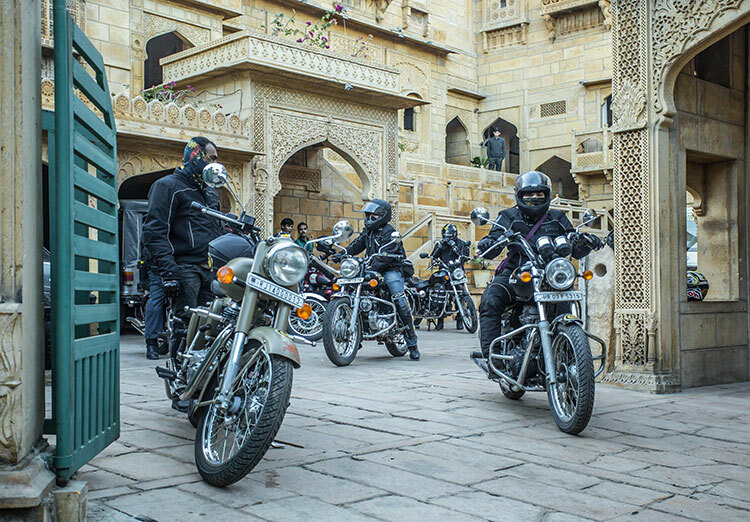 Royal Enfield’s soul stirring ride – The Tour of Rajasthan returns with its fifth edition this year from Dec 12th, 2015. The ride to the picturesque terrain of the desert state of Rajasthan will see 30 riders journeying 2,100 kilometers over 9 days, most of it through the unfrequented yet beautiful Thar Desert. Registrations for the Tour of Rajasthan have already begun on the Royal Enfield website. This year, participants will also be able to bring in a pillion rider for this trip. Beginning from the pink city – Jaipur, the Tour of Rajasthan is an enriching motorcycling adventure that will take the riders through the colourful state of Rajasthan. The love of ‘pure motorcycling’ brings riders together from all over India and bond over their common passion of riding a Royal Enfield through the winding country roads of Rajasthan. It has been a constant endeavor at Royal Enfield to provide its loyalists with an unadulterated ‘pure motorcycling’ experience, wherein the man, the machine and the terrain come together as one and elevate the riding experience to a whole new level. The Tour of Rajasthan promises to excite and entice riders with its breathtaking landscape and vibrant culture. The ride offers newer motorcycling adventures and a variety of riding terrains to the participants which makes The Tour of Rajasthan an experience of a lifetime. 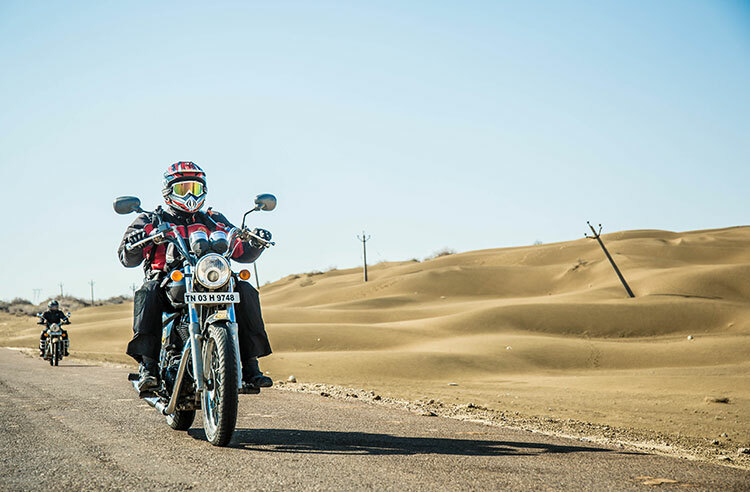 The riders will journey through the scenic landscapes of Rajasthan’s Thar Desert to Ajmer from Jaipur through Mahansar, Bikaner, Jamba, Sam, Barmer, Mt. Abu, Pushkar and finally back at Jaipur, covering a distance of 2,100 kilometres on their Royal Enfield motorcycles. The riders will be passing through the battlefields of the 1971 war wherein the only thumping sound will be of the Royal Enfield motorcycles and at Pali they will get to pay homage to the famous Bullet Baba. The route has been chalked out specifically, to give riders a good mix of smooth and challenging terrains through the winding country roads, vast sand dunes, majestic hills, lush green woods, a dried salt lake bed, as well as on highways which are as smooth as landing strips. This ride promises to test the Royal Enfield rider’s grit and offers an opportunity to leave their marks on the sands of time.